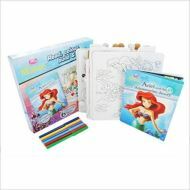 With 8 coloring pens, a fun storybook, and a special pop-up building set featuring easy assembly (and no glue required! ), this fantastic set from Disney is the perfect playset for any Little Mermaid fan. 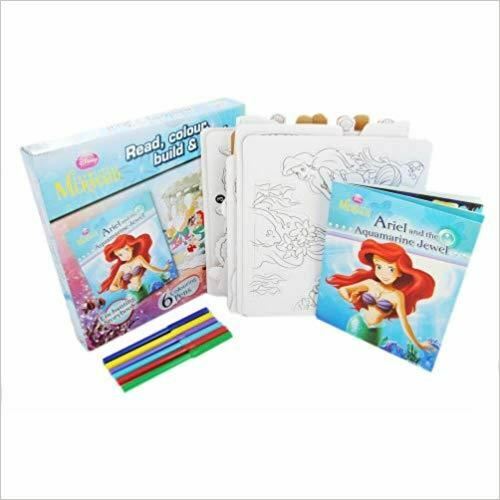 Kids will love to read along with Ariel's adventures and then make their own. Ideal for engaging creativity and interactive reading, this set is a perfect playtime activity for children of all ages.